Honey is a natural sweetener that—if taken without preservatives—works wonders for the body. You can have it raw to cure colds, add it to smoothies, drizzle some on a scoop of ice cream and do a million other things. The next time you’re looking to buy a jar of honey, keep these organic local brands in mind. They provide a healthier product that is way better than store-bought ones. Trust me, you will notice the difference as soon as you taste them. This non-profit organisation works with farmers across the country to bring good quality honey to your doorstep. 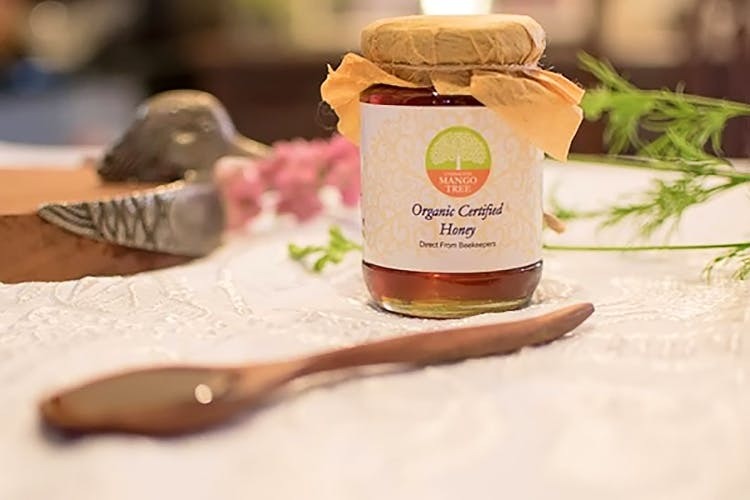 The queen bee of the company, Vijaya Pastala, realised that the little communities in India collected and made a variety of honey, while the one you and I eat is the standard flavour. She thought of getting those different varieties into our lives, and help farmers make a decent living out of it as well. Some of the versions that they sell include Wild Forest, Dessert Blossom, and Litchi, among several others. Societe Naturelle has partnered with various stores to sell their products. They have a wide range of beautiful honey with unique flavours like eucalyptus, acacia, mustard, and ginger, to name a few. Apart from being super yummy, they have brilliant medicinal qualities that keep you healthy. Perfect for those who have oats and green tea as their meals. Jessica Jayne started this homegrown wellness brand in Mumbai, and now she is known throughout the country for her products. Apart from hair oils that nourish your scalp, she also produces healthy chips and two delicious honey flavours; Jamun and Multi-Floral. Their packaging has a lovely minimalist look that will make you want to order everything! Giving you four variants of honey, True Elements has established itself as a fantastic local brand. You can go for the acacia flavour if you like it super sweet. There’s also Neem Honey if you’re diabetic and looking for additional medicinal benefits. Sore throat? Turn to the Ginger flavour. If nothing suits you, go for the good old raw version that is rich and warm. And those who love shots, try their honey shots! Now this a new way to have honey. Coming in small tube-like containers, they are easy to carry around and use. Just slurp while you’re going to work or for a run. The ingredients are sourced from the Himalayas, and that’s what makes it so good in taste. Try their litchi version and go gaga over it every morning for breakfast!